You may ask, “But….why Goldsplinter! ?” Well, it all started like this…. One morning, near the end of the 15th century, a young boy strolled across the Aventine hill not far from the center of Rome. An unexpected and fateful footfall into a brush-covered depression sent the boy plummeting downward into a dark subterranean labyrinth of grotte. Traumatized but relieved to be alive, the boy looked up to see, in a dusty beam of light, a cavern replete with brilliant frescoed figures and fantasy. 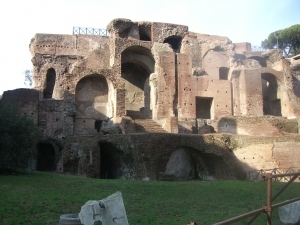 The palatial ruins of the infamous emperor Nero’s Domus Aurea, or golden house, had been discovered. Architects Severus and Celer of 65AD, along with many artists and craftsmen, built the sprawling complex at Nero’s demands, embarking on one of the most innovative and revolutionary architectural works the ancient city had ever seen. Clad in gold leaf, gems, and exotic seashells, the palace was designed with extravagances well ahead of its time. In one wing, a domed octagonal meeting room housed a hydro-powered mechanism, suspended in the dramatic light cast by a great oculus above, where it revolved and showered the occupants with flower petals and perfume. Buried by time and long forgotten since Nero’s suicide, the Domus Aurea, upon its rediscovery, instantly became a harbinger of times to come. As the renaissance reached Rome, many artists, Michelangelo and Raphael included, routinely lowered themselves into the ruins by ropes seeking their muse. This profound influence lived through the neoclassical trends of the 18th century, proving this edifice a pivotal point in the history of art and architecture whose effects have endured for two millennia. Styles and techniques of the 21st century and the realities from which they are born have evolved much since 65AD ….as have palatial complexes, but the ethos of splendor and innovative design can still thrive. Shaped by this sense of unique artistic vision, humility, and respect for standards set by many time-honored craftsmen, a small woodworking studio chose its name – a symbol of monumental uniqueness in hand and idea….just without the actual megalomania. 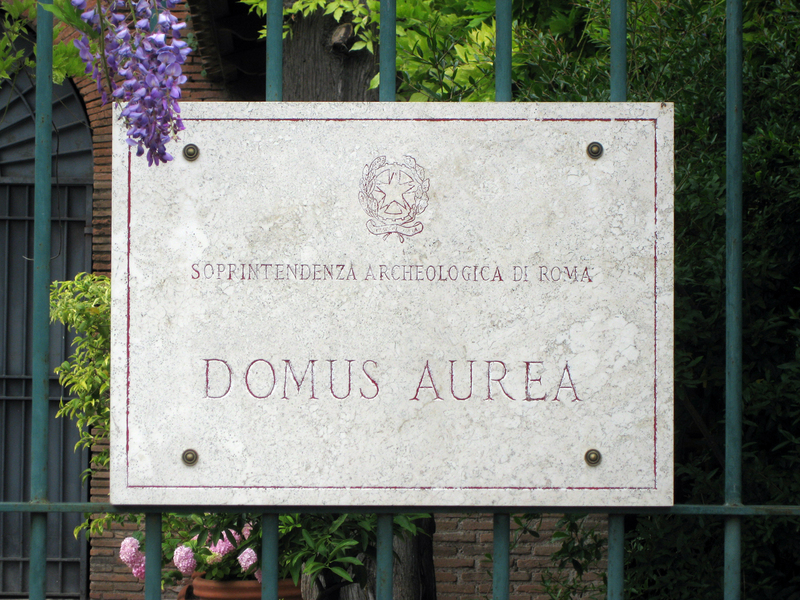 So, The Domus Aurea Woodworking Studio was born. 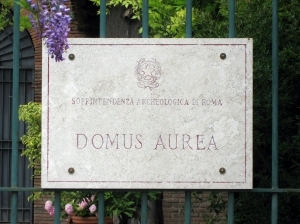 Frustratingly, upon searching for an email address, most variations of “Domus Aurea@….” turned out to be taken, as did the english versions: “goldenhouse@….” etc. Eventually, the seemingly appropriate, smaller-scale email address of “goldsplinter@….” was settled upon. Soon enough, however, the words of a wise friend returned. “Stay away from latin business names. Nobody can spell them, say them, or remember them,” he said. And, as predicted, the Domus Aurea Woodworking Studio proved to be a mouthful. Luckily, the email address seemed to stick with people and eventually the grandeur of Roman despots receded as the dynamism of Sean Connery and his arch villians stepped forward. And still today, the Goldsplinter Woodworking Studio strives to carry the same proverbial torch, hot as it may be, that lit the ancient great halls of masters that built great things with their hands and made our world a little cooler in which to live.